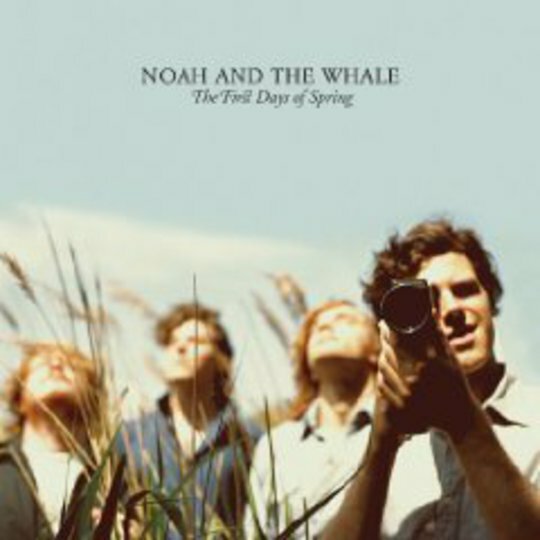 For those who thought Noah and The Whale’s first offering was mellow, I present to you First Days of Spring; making its predecessor look like an up-tempo dance mix by comparison. If these are the first days of spring, then Peaceful, The World Lays Me Down was some sort of midsummer’s party. 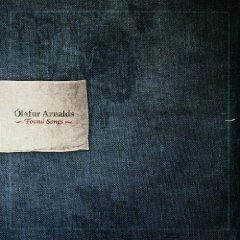 Ensnaring the listener from the off, it's a strikingly sparse and minimal record, yet rousingly epic at the same time. This is music for the movies, no doubt, and you find yourself directing a small scale production as images move through your mind. It’s not much of a surprise to learn that First Days of Spring is in fact part of a bigger whole - a joint effort combining the full album’s music with a film for release on DVD. Whether this counts as a cunning move or a poorly-thought out plan is up for debate in these multimedia times where the world is multiplatform and the shuffle function destroys any sense of album as ‘complete package’. But either way, Noah and the Whale embrace the USP and bring to the table something more than most of their counterparts. Emotive as it is, I wonder which came first, the album or the artistic concept? After all, the flowing interlinked tracks are everything you’d expect from a grandiose film soundtrack. You can imagine a nice bit of stop-motion animation of flowers unfurling or a clear sky with balloons being released. Singer and songwriter, Charlie Fink, assures us though that 'the album very much came first'. Regardless, you’re compelled to listen as the album moves through seasonal sunny glows and morning chills. Title track and opener, ‘First Days of Spring’, sets out the stall for the rest of the record, using turning seasons to illustrate the transitions of a crumbling relationship (in this case Fink's with erstwhile part-time Whaler Laura Marling). Its six and a half minutes capture the slow, contemplative serenity of a spring dawn: the world waking, as the sun rises to warm a low mist still clung to the earth, and all the optimism of a bright year ahead. Like the cold morning, Fink sings of a lost love, but it’s hopeful and there’s the promise of better things to come, “I’m still here hoping that one day you may come back”. It may be a little cliché, but nature’s imagery continues to crop up throughout. ‘Our Window’ moves on to describe the aching scene of a couple laid awake, over-thinking as they try to deny the realisation that it’s over between them, whether they like it or not. Again, violins and the long resonating notes of the piano played with damper form a peaceful backdrop for Fink’s lyrics. If you have recently (or possibly ever) been through a long and painful parting from someone you love, I probably wouldn’t recommend this album, unless you seek a final nail for your coffin. First Days of Spring, for all its flashes of hope, is basically a musical narrative to the tale of a breaking heart. Rest assured though, while it may be a break up album in many senses, it is an honest and personal account - we’re not talking self-pity. Compared to its older brother, for all the guitar and fiddle, First Days... is much less ‘folky’ album in the traditional sense, and the loss of Marling has done no damage to the music, at least. In fact the quiet simplicity of these songs is better suited to Fink’s lone voice, clear without a jumble of voices and complex harmonies, strengthening the continuity of the storytelling. This applies to the majority of songs, bar ‘Love of an Orchestra’ and its majestic, um, orchestra. In fact this song departs from the springtime theme altogether with what I can only describe as the most Christmassy track I’ve ever heard outside a Coca-Cola advert. An expectant pace, which so often gives birth to a rushing burst of reindeer across a snowy-night scene, is further reinforced by a proper Songs of Praise choir building the song to its crashing climax with – not surprisingly – a mighty clash of cymbals. On paper it sounds awful but in reality it’s as heartening as intended. Well, you can’t hate Christmas, can you? As life often dictates, the highs are usually followed by lows, as exemplified by the instrumental lead-in to the most brutally poignant song on the album, ‘Stranger’. Again, anyone who has been in a failed long-term relationship may wish to look away. Fink perceptively observes the emptiness of a first 'encounter' with someone new, the awkwardness of the unfamiliar and the consuming thoughts (“regretfully lying naked, I reflect on what I’ve done”), while descriptive details breathe life into his words and make the images so much more real. If you had to call a track filler, it’d be ‘Slow Glass’ which somehow feels like it has nothing to say even though it technically does. It also swings dangerously close to sounding like an Elbow cover (not to bad-mouth Elbow; it’s just not what you want on a Noah and The Whale album). The final song gains closure on the whole tragedy, ironically, by leaving things open. Irrelevant to this, possibly the best feature of ‘My Door Is Always Open’ is the slide guitar. Yessir. Coupled with a tempo increase and the acoustic guitar’s closing crescendo, the album leaves you too with a sense of satisfaction. Now, I realise points of the above may seem more like lyrical analysis than dissection of the music itself, but for me the 'song' is what it’s about; the feeling and the message conveyed, not the paper it’s written on. With that in mind, I find it difficult to fault this album. Granted, this album does have the occasional essence of Snow Patrol about its aura but I’ve listened repeatedly since it plopped onto my mat and I’m yet to tire of it.